Creativity Media congratulates all 2017 BIFA winners. The team at CM would like to congratulate all the winner’s at the 20th British Independent Film Awards (BIFA), that took place this Sunday at London’s Old Billingsgate. God’s Own Country, for whom Creativity Media did their post-production, were the favourites of the night picking up a total of 4 BIFA’s, including best British Independent Film. As well as winning the previously announced Sound Award, the film also won Best Actor for Josh O’Connor, and Best Debut Screenwriter Francis Lee. Lady Macbeth also did exceptionally well, winning trophies for Best Screenplay, Best Actress and Most Promising Newcomer. The Honorary Awards included The Variety Award for Gary Oldman, The Richard Harris Award presented to Vanessa Redgrave, and Femi Oguns for the Special Jury Prize. A huge congratulations to all the 2017 BIFA nominees! Now in it’s 20th year, the BIFA’s have long supported the independent film industry in the UK, and continue to inspire and support emerging artists and talent within the field. This year, the Breakthrough Producer Award will be proudly sponsored by Creativity Media, and will feature nominees such as Emily Morgan from I am Not A Witch, as well as Jack Tarling and Manon Ardisson from God’s Own Country. 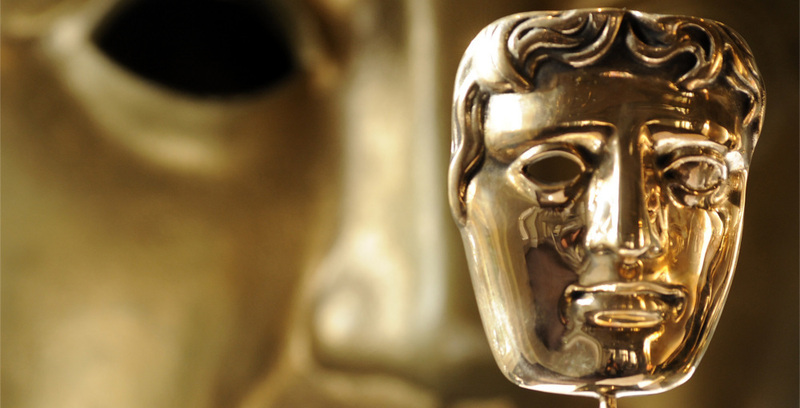 The films have also been successful in other categories; with I Am Not A Witch earning 13 nominations, and God’s Own Country being nominated for 11. This October marks the 61st anniversary of BFI London Film Festival, and we are proud to announce that Rungano Nyoni’s ‘I Am Not A Witch’ will be one of twelve films competing in the First Feature competition for The Sutherland Award. This award recognises directorial debuts with the most originality and imagination. ‘I Am Not A Witch’ tells the audacious story of a young Zambian girl (played by Margaret Mulubwa) accused of being a witch. Creativity Media are proud to have provided full post production services for this dark, satirical feature. We wish the best of luck to Rungano and the rest of the ‘I Am Not A Witch’ team. After the massive success of shark attack thriller 47 Meters Down this summer, a sequel is under development. The original starring Mandy Moore and Claire Holt, became the highest-grossing indie smash of the summer in the U.S of 2017 ($53 million). The sequel, 48 Meters Down changes location from Mexico to Brazil where a group of cave diving girls venture into some hidden underwater ruins not knowing one of the most deadliest shark species resides in the area. 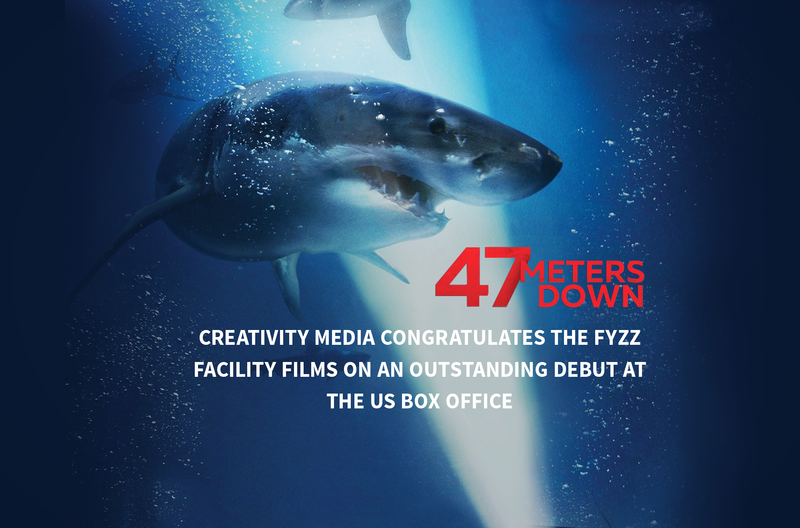 47 Meters Down’s Postproduction was provided in a cooler climate of Creativity Media facilities in London where our online editors worked their magic in our state-of-the-art baselight grading theatres. Once again, we look forward to seeing the next project take on the world’s greatest predator. 47 Meters Down is available on DVD Blu-ray and digital download this month. See more of our work here . 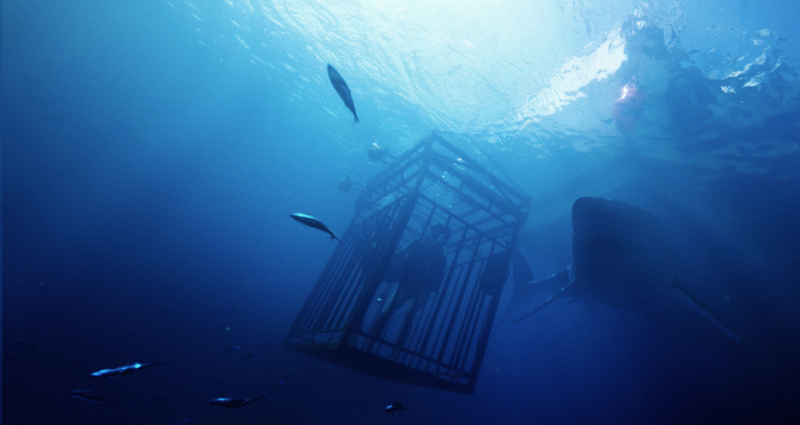 It’s summer blockbuster time and just when you thought it was safe to go back into the water, British survival horror film 47 Meters Down hits UK cinemas this week. Directed by Johannes Roberts, the film follows sisters (Mandy Moore and Claire Holt) who get trapped in a shark cage whilst holidaying in Mexico. With their air supplies dropping, the girls must escape before the great white sharks detect blood. Creativity Media provided full postproduction with manager Jennifer Eriksson and on-line Editor Víctor Escribano representing the team. With a box office gross at over $45 million, we’re eager to see how the film does on home coasts. 47 Meters Down opens in cinemas on 26th July 2017. This week the 70th Cannes Film Festival opens and Creativity Media’s postproduction work is being represented in I AM NOT A WITCH. 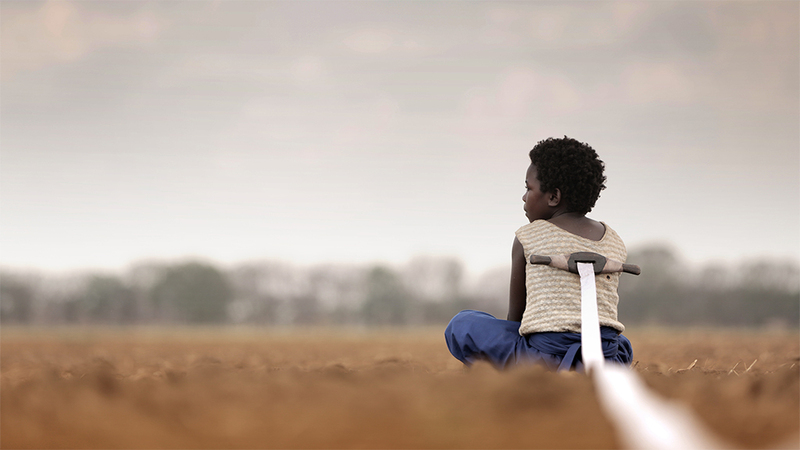 Selected at this year’s Directors’ Fortnight, I Am Not a Witch is a modern day African satire revolves around a 9-year-old girl, Shula, who is accused of being a witch. Written and directed by BAFTA-nominated filmmaker Rungano Nyoni, Creativity Media provided post-production and Visual Effects. Screen Daily picks it as one of the top 20 stand-out titles of the festival. Iranian Thriller Under the Shadow has scooped the Outstanding debut by a British writer, director or producer award at tonight’s BAFTAs. The film portrays a mother and daughter who grapple with the terrors of the post-revolution, war-torn 1980s Tehran whilst a strange evil haunts their apartment. Babak Anvari (writer/director), Emily Leo, Oliver Roskill and Lucan Toh (producers) picked up the award at the ceremony in the Royal Albert Hall. Creativity Media and Creativity Capital provided picture and sound postproduction and financial backing. Congratulations to Under The Shadow. We are extremely proud of our Sound Department for their MPSE (Motion Picture Sound Editors) nomination for Iranian Horror Under The Shadow. 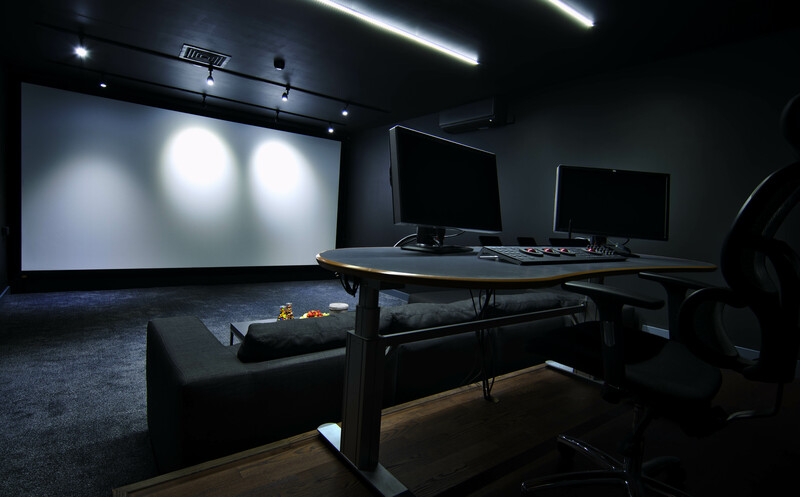 For nearly 65 years, the MPSE is devoted to improving the recognition of Sound Editing in motion pictures to the public and the filmmaking industry. Richard Kondal (Supervising Sound Editor), Alex Joseph (Sound Designer) and Alex Outhwaite (Sound Effects Editor) are up for a Golden Reel prize for Best Feature Foreign Language -Effects/ Foley/ Dialogue/ ADR. An award winning film in its very own right, Under the Shadow follows a mother and daughter who struggle to cope during the last stages of the 1980s Iran/Iraq conflict. Our team put their heart into creating an atmospheric haunting sound to this chilling psychological thriller. The 64th annual MPSE Golden Reel Awards will take place on the 19th February in Los Angeles. Need award nominated sound design for your project? Check out our services page. Iranian thriller UNDER THE SHADOW has been nominated for Outstanding British film and Outstanding Debut by a British writer, director or producer. Up against a great line up of British contenders for these two awards, director Babak Anvari‘s acclaimed debut is one of our great success the team had the pleasure of providing full postproduction and finance support from Creativity Capital. Hosted by Stephen Fry at the Royal Albert Hall, winners will be announced and broadcast on BBC One on 12th February 2017. Want to see Under the Shadow before the BAFTAs? Catch it on Netflix. 2016 is coming to an end. A year full of ups and down but definitely a high for Iranian Horror Under The Shadow. 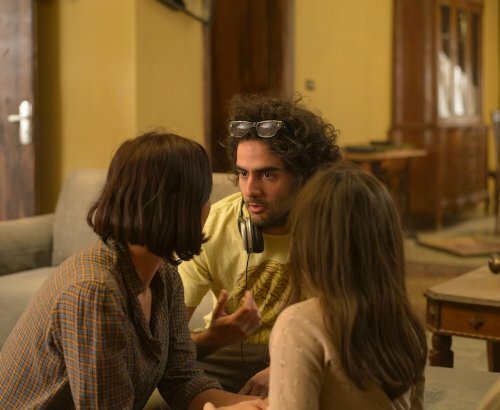 A year full of awards and critical acclaim, Under The Shadow will be available to see via Netflix from 7th January 2017. Netflix acquired the worldwide streaming rights to the Iranian horror movie back in January 2016 at the Sundance film festival. Creativity Media provided full postproduction for Babak Anvari first feature and are happy to end the year on a high. To everyone that has worked and collaborated with Creativity Media over the last year we thank you for your support and look forward to working with you in 2017.